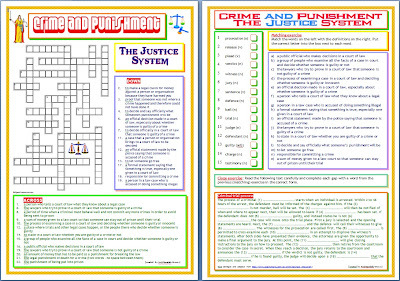 This is a set of two separate worksheets (not to be used in the same lesson), whose aim is to practice vocabulary related to the justice system and the trial process. 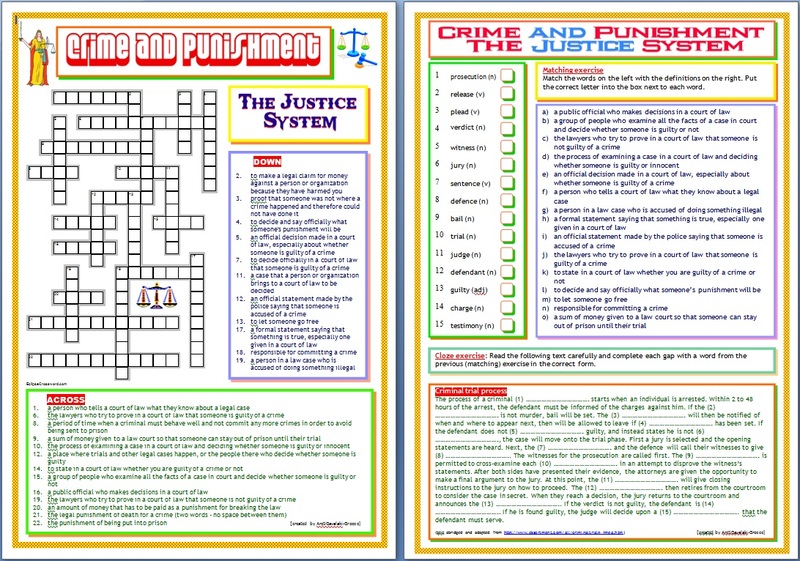 There is a crossword puzzle in the first worksheet. The second contains a matching exercise and a cloze exercise.